Decode And Display PSK31 On Your iPad! Want to monitor PSK31 transissions, without using a bulky computer? 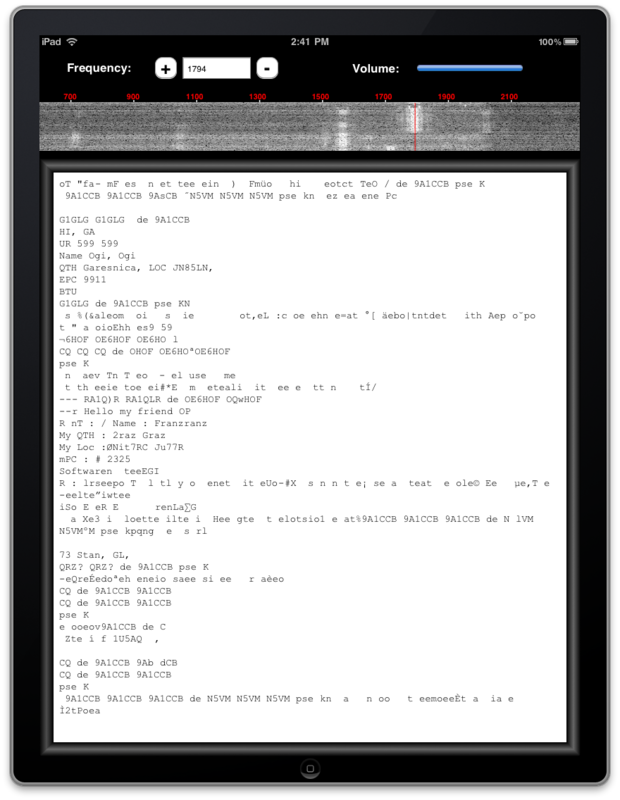 PSK31 lets you view PSK31 ham radio transmissions on your iPad. Just set your iPad next to your radio, tune in a PSK31 frequency, and watch the decodes. There's a waterfall display of the audio spectrum, showing all of the PSK31 transmission. Tap on a signal, and PSK31 tunes into that transmission. Get your copy of PSK31 right now, and start decoding and displaying PSK31 transmissions in minutes. Visit the PSK31 Pad FAQ page for full details on how to use the app.